Ski slope views from this updated mountain home chalet. 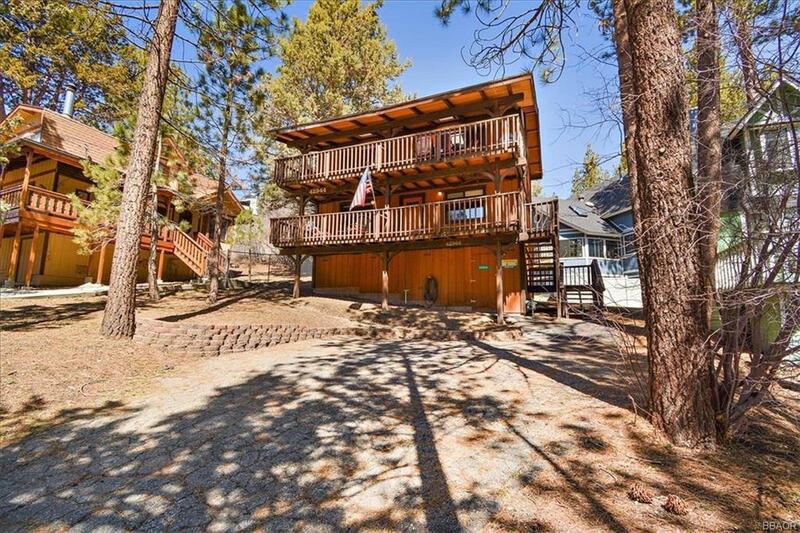 Wonderful location, just ½ mile from Bear Mountain Ski Resort, Big Bear golf course and the Big Bear Zoo! The home has been remodeled and is ready to enjoy, comes furnished too. The remodeled kitchen features new granite counter tops, new cabinets, upgraded stainless steel appliances and newer wood flooring. In addition, the bathrooms have been upgraded too, and the furnishings are perfect for this home. Two spacious decks feature wonderful outdoor furniture and a very tranquil environment to relax. Also this home faces south with tree top views. This home has been on a vacation rental program, but mostly used by the sellers. Well maintained, this home has central heat and a newer water heater.